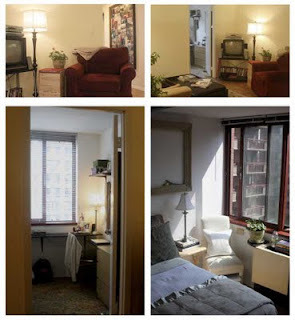 1 bedroom immediately available for rent in clean, sunny & modern 3 bedroom/2 bath apartment with unobstructed views of the East River and Upper East side. Room measures 12 x 8 with fully windowed south facing wall, air conditioner/heater in room. Monthly rent ($950) includes utilities, cable, wifi and Netflix, and is available through the end of May (possible extension). 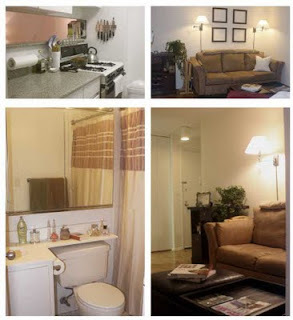 Located on the 8th floor, the apartment consists of hardwood floors, comfortable living room with a spacious balcony in 24 hour doorman building with a sun deck, laundry and complimentary, recently renovated gym. Your roommates are one woman and a couple, all professional and close friends. Fun, friendly, clean, easy-going, who enjoy a fun night out to dinner, concerts, bars as much as a night in with a homemade meal, a good movie, and an even better bottle of wine. Looking for a grad student or young professional, 25-35, financially responsible. Must enjoy good food and drink. 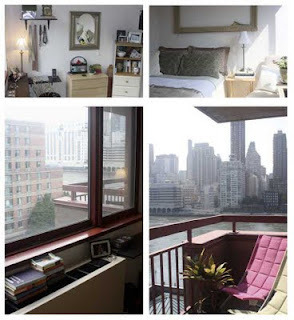 I am very interested in this room and I´ll love to get in touch with the people living in this apartment. Nice information, really! If anyone still didn’t find this property interesting, they can try APT212 to find the apartment meeting their budget and other needs.